When Christopher Columbus landed in Puerto Rico in 1493, he didn’t tarry. Actually, he spent a grand total of two days here, claiming the island for Spain, christening it San Juan Bautista (Saint John the Baptist), and then moving on to richer pastures. One can only imagine what the island’s native tribe thought of all this. The Taíno Indians, an advanced society with a developed agriculture, had been living on the island for hundreds of years; they called it Borikén (today, Boriquén remains a symbol of native Puerto Rico). They would be left to ponder Columbus’s actions for several years, as Spanish explorers and conquistadores largely ignored the island in their continued conquest of the new world. Then, in 1508, Juan Ponce de León and a force of 50 men came to the island and established the town of Caparra on its northern coast. He quickly found a better location for his fledgling settlement, an islet with an excellent harbor that he named Puerto Rico, or Rich Port. This would become the name of the island while the town was renamed San Juan. As governor of the new territory, Juan Ponce de León helped lay the foundation of a new colony on the island, but, like Columbus, he didn’t stick around to enjoy it. After only four years into his tenure, Ponce de León left Puerto Rico to pursue the dream for which he is now most famous: the elusive "fountain of youth." His hunt for immortality took him to Florida, where he died. His family, however, continued to live in Puerto Rico and flourished along with the colony their patriarch founded. The Taíno, on the other hand, didn’t fare so well. In 1511, they revolted against the Spanish after discovering that the foreigners weren’t gods, as they had originally suspected. They were no match for the Spanish troops, and as their numbers dwindled due to the familiar pattern of subjugation and intermarriage, a new labor force was imported to replace them: African slaves started arriving in 1513. They would become an integral part of the fabric of Puerto Rican society. Puerto Rico’s growth was slow and arduous. By 1521, there were roughly 300 people living on the island, and that number reached only 2,500 by 1590. This was only partly due to the inherent hardships of establishing a new colony; a large cause of its sluggish development lay in the fact that it was a poor place to live. Other colonies in the New World were mining gold and silver; Puerto Rico had no such fortune. Still, there were two authorities who saw the value of this tiny outpost in the Caribbean. The Roman Catholic Church established a diocese in Puerto Rico (it was one of only three in the Americas at the time) and, in 1512, sent Alonso Manso, the Canon of Salamanca, to the island. He became the first bishop to arrive in the Americas. 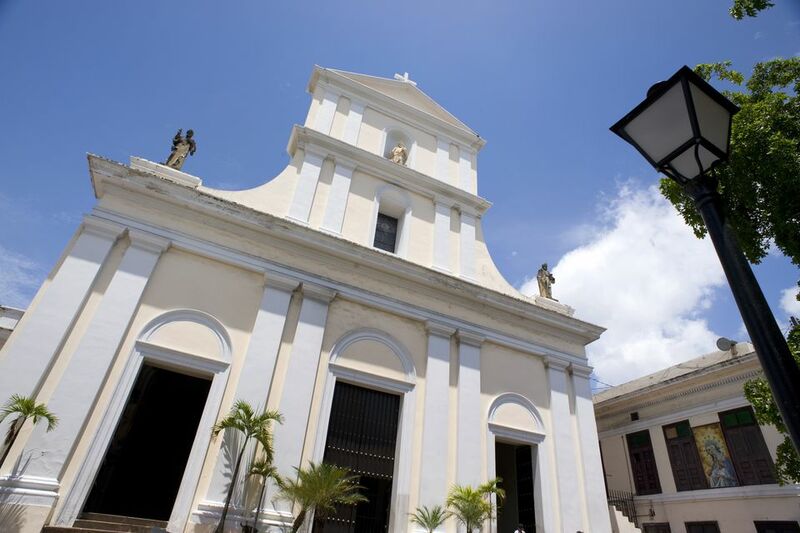 The Church played an integral role in the formation of Puerto Rico: it built two of the oldest churches in the Americas here, as well as the colony’s first school of advanced studies. Eventually, Puerto Rico would become the headquarters of the Roman Catholic Church in the New World. The island remains predominantly Catholic to this day. The other faction to take an interest in the colony was the military. Puerto Rico and its capital city were ideally located along the shipping routes used by ore-laden ships returning home. The Spanish knew they had to protect this treasure, and they turned their efforts to fortifying San Juan to defend their interests. Is Traveling to Puerto Rico for Medical Treatment a Good Option?